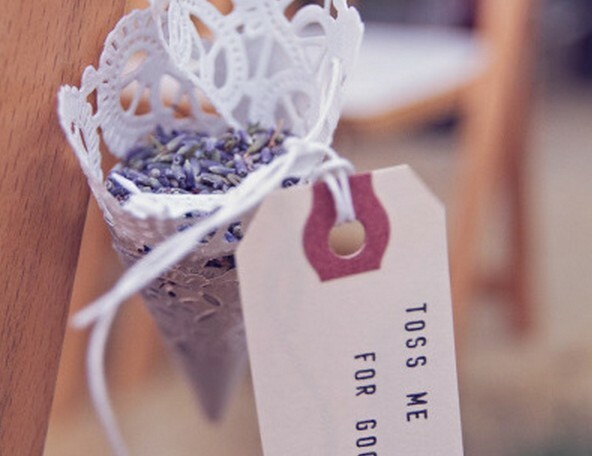 Fill doily cones with lavender buds and have guests toss the buds on the newlyweds during their exit! See more photos from this wedding on the source. See a tutorial for drying lavender. See a tutorial for this idea using book pages to make the cones. See a tutorial for this idea with the dried lavender sealed inside glassine bags.